International - #1 "Warrior Angel", #1 "Smile Once More"
Soft Rock - #1 "Sweet Surrender"
Latin - #1 "Tu Solo Tu (Only You)"
Lounge - #1 "Thief of the Night"
Love Songs - #1 "I Wonder", #1 "Shy Guy"
World - #1 "Sweet Surrender", #1 "Untouchable"
Dance - #1 "Love Story"
Country - #1 "Shy Guy"
Fusion Pop - #1 "Untouchable"
Spanish- #1 "Tu Solo Tu (Only You)"
Film Music - #1 "Warrior Angel"
Singer/songwriter L’illon, is a Washington native and the founder of "Lucid Pop", a sub-genre of contemporary pop music. This music has been described by industry insiders as "a class by itself and its own style", and according to ASCAP VP Ralph Murphy, this is "really cool stuff". "Lucid Pop" is a modern sound that gets one into a unique mood. Turn the music on and the song’s melody will stir the listener's senses. As one fan expressed, "sing along tunes with masterfully effective lyrics, Lucid Pop will not leave your memory". Her timeless tracks provide an optimistic outlook on life and enable people to feel sensual in their own skin. While studying the works of classical composers (such as Verdi, Chopin, Beethoven, Rimski-Korsakov & Saint Saens) as well as modern songwriters (Prince, Jewel, Sting, U2, and Timbaland) some of whom she identifies as influences, L’illon has crafted a unique approach to music. Her sound strives to openly address the highs and lows of life, portraying these with insight, compassion, and resolution. L'illon has traveled abroad extensively; spending time in Europe (in places where Bowie and Bono also were inspired), and where she also started studying voice at an early age. Later winning a scholarship to a private university, she completed a master’s degree program in music. L'illon has turned to songwriting and performing full time and is "blazing her own trail" on the contemporary music scene. Her much awaited full-length album, the first "Lucid Pop" music album ever offered to the public, entitled "Warrior Angel" has been released in November 2008. 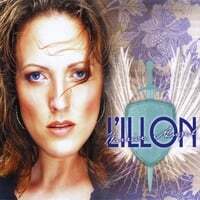 Radioindy has published L'illon review to YouTube.com. Radioindy is pleased to announce that we have published our CD Review for L'illon to YouTube.com. RadioIndy is pleased to present L'illon with a GrIndie Award for the CD "Warrior Angel"
“Warrior Angel” the latest release by L’illon is a wonderful endeavor and perfect for any pop music fan. L’illon fuses the musical worlds of pop and Latin music together very well, setting the scene for a very ethnic influenced album. Traces of the late Selena can be heard in songs such as “Tu Solo Tu (Only You)” and highlight some well played Spanish guitar riffs. The title track “Warrior Angel” pulls away from the Latin vibe with more of a world music instrumentation and pop sound. L’illon’s artistic arrangements on the CD highlighting her Latin roots but do not let that fool you; this disc is perfect for any lover of female fronted pop music. "Warrior Angel" Reviewed by RadioIndy.com! Radioindy Review Published at CD Baby.com! RadioIndy is pleased to announced that we have published our CD Review of L'illon's music to CD Baby. FANS - Please checkout L'illon's CD Baby page here and sample / purchase some great new music! L'illon Press Release on Digg.com! FANS: Increase the popularity of this DIGG press release by visiting our homepage at www.radioindy.com and looking for the "Press Release" section in the lower right. Here, you can find and "DIGG" this press release for L'illon. The more DIGGS, the more exposure! DIGG, DIGG IT, DUGG, DIGG THIS, Digg graphics, logos, designs, page headers, button icons, scripts, and other service names are the trademarks of Digg Inc. Your review will be posted on the site, typically within 48 hours. You'll be able to see the review either on the product page, or on your profile page. If your review has not appeared online and you'd like to know why, contact us. Radioindy Review for L'illon has been added to Myspace Music!